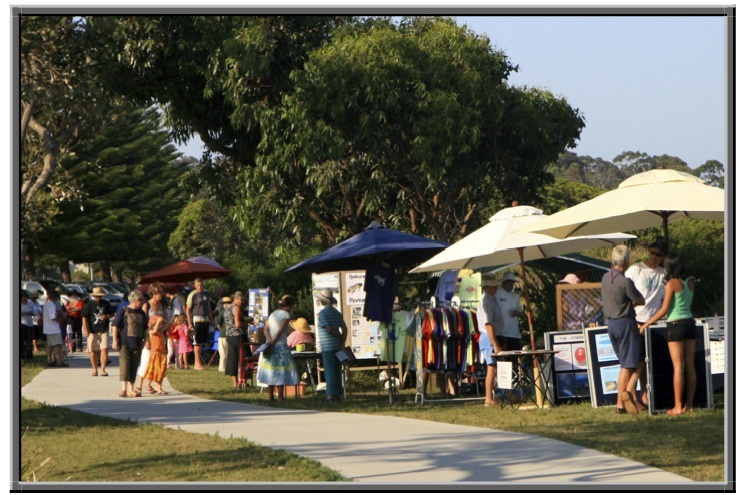 Art on the Path is a community run markets in the town of Broulee on the NSW South Coast. It is a Dunecare sponsored activity promoting sustainability, stalls can only sell locally-made art/craft. Sunday 5th October 2014 - 8am-12pm. Art on the Path is held 4 times a year on the shared cycleway near the corner of Smith St and Grant St Broulee.